It all started on a whim, after falling in love with the country in late 2016. Less than two months after their inaugural visit to Costa Rica, the owners of Casa Emerald Palms returned to purchase a vacation rental property and forge deeper ties with their adopted country. Since 2012, they has successfully built and managed a unique brand of sustainable luxury rental accommodations, throughout Ontario, Canada. This unique design and service aesthetic is emblematic of an emerald gemstone and the symbolism it holds. A rare and powerful stone, an emerald symbolizes royalty, renewal and growth. Its deep green colour hints of the connection between the sea and Mother Earth. It promotes a love of nature, a love of family and hope for others. This connection is evident in Costa Rica’s bio-diversity and its ever evolving sustainability practices. It’s been said that our most important luxury is time. Luxury travel used to be defined by good service, great accommodations, picturesque views and fantastic food. Today, it means going beyond those common expectations to create one-of-a-kind and authentic experiences that forge local connections with the places we visit. While some come to Costa Rica for a ‘tech-free’ vacation, for others the need to stay connected with colleagues, friends and loved ones back home is paramount to having a ‘distraction free’ vacation experience. The technological amenities provided at Casa Emerald Palms specifically encourage our guests to stay connected and share their positive Costa Rican vacation treasures, moments and discoveries. 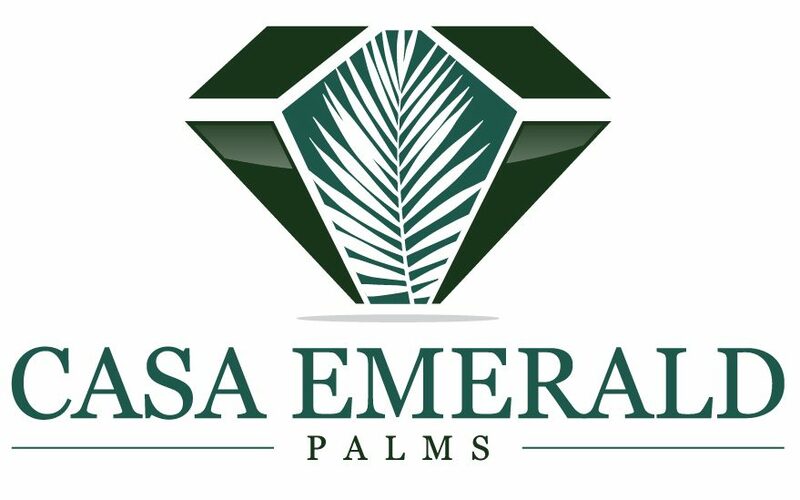 The owners of Casa Emerald Palms is committed to sustainable contributions benefitting the environment and local communities of their respective rental properties. Their rental design philosophy is based on creating elegant, contemporary and sustainably-built accommodations, combined with the comforts of modern technologies. The on-site concierge and property management team strive to provide you with the conveniences of a hotel-travel, coupled with the authenticity and local flavour of a fully-functional vacation rental condo. Their goal and commitment is to provide a high level of hospitality within the traditional and often unpredictable vacation rental condo experience. Everything you need for a comfortable and stress-free vacation! We wish you an unforgettable stay with friends and loved ones among Costa Rica’s immense natural beauty, here at Casa Emerald Palms.